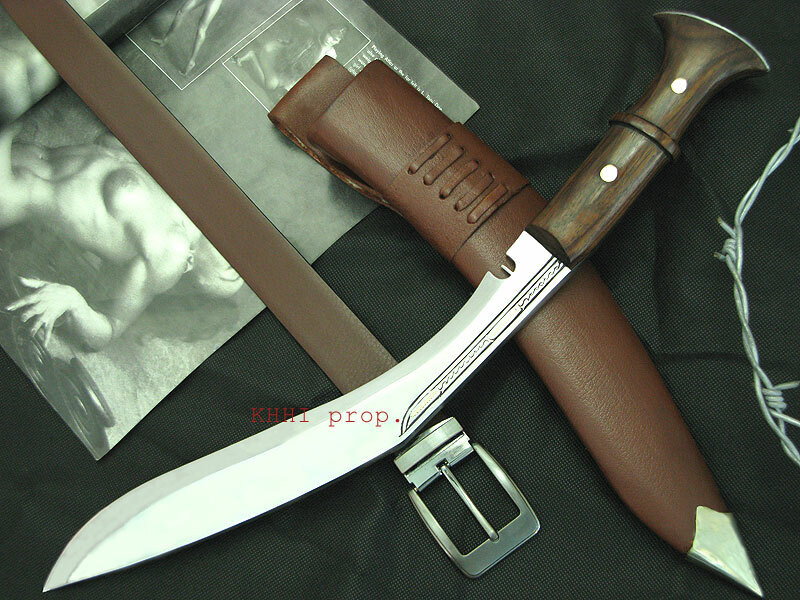 A khukri made for play and display; one that can be used hard and can also be exhibited at the same time..
A khukri made for play and display; one that can be used hard and can also be exhibited. 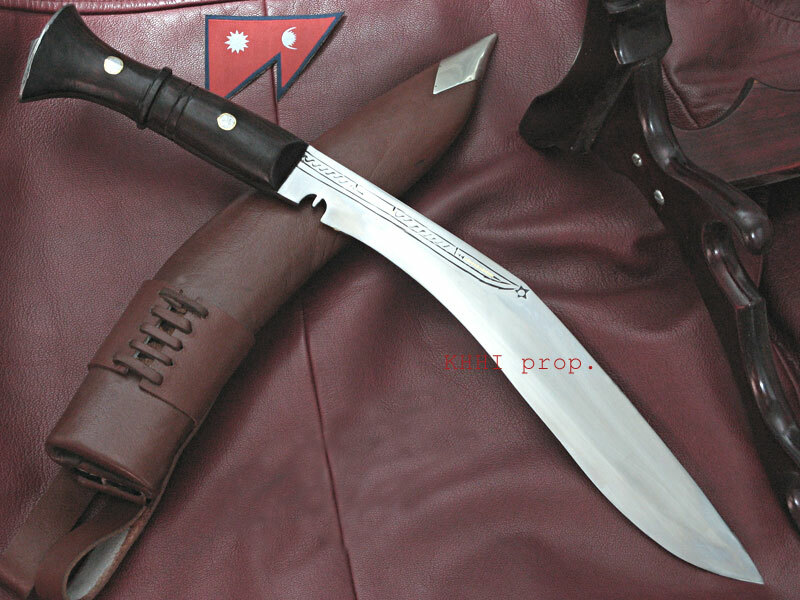 The combination/ feature of the khukuri is such that both above mentioned objectives can be achieved from the “SiruPana”; sheer supremacy within a Sassy kukri.. This interesting name is actually extracted from two very famous Kukris of Nepal; “SiruPate” = 'Siru' and “Panawal”= 'Pana' , hence "SiruPana". 'Sassy' the nick for its smart,cheeky, bold look and spirit of this kukri. The blade is that of the slimmer and slender “SiruPate” and handle of strong and superb “Panawal”; here, further improvised for better and easier grip. The shape is actually the influence of the maker from a leaf called “Siru Paat” found in the hilly region of Nepal. Likewise “Panawal” means, as seen in the above picture, a handle with full flat tang going all the way through and reinforced by rivets from two sides to secure the handle to the tang (The two wooden pieces handles are first glued and later hammered by rivets to strengthen the whole fixture). A special brown leather scabbard is used with a fasten-up frog and a metal tip are used to beautify the khukri’s over all look. A full flat tang rosewood handle that offers easy grip and handling is also fitted to withstand the heavy duty work and pressure. Moreover the 12 inches long blade gives better coverage and area. As well, since the blade is forged narrow and slender; weight is reduced, and as a result handling the knife is easier and less tiring. Unlike the regular khukuris, number of ridges are ignored and replaced by one singular bulky ridge, as seen in the picture. Truly an all-rounder, be it inside your showcase or out in the deep wild forest.